Thousands of cyclists descended on Blackpool Promenade for the resort’s annual Ride the Lights event on Tuesday (Aug 29). 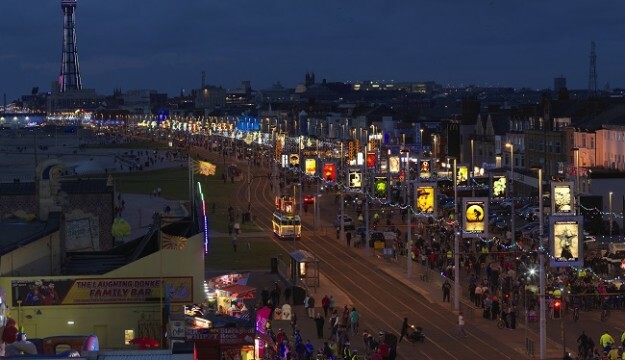 The popular free event sees the seafront stretch fully closed to vehicles for one night only between 7pm and 10pm to allow cyclists to get a sneak preview of the Blackpool Illuminations ahead of the annual Switch-On on Friday. Ride the Lights is attended by thousands of people every year and has become a firm favourite. 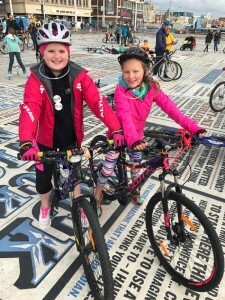 As well as enjoying the ride, families, visitors and local residents were also well entertained at the Ride the Lights hub located at the Tower Festival Headland opposite The Blackpool Tower hosted by Radio Wave. For the second year running, riders had the opportunity to detour through the Blackpool Pleasure Beach via North Gate. Riders were greeted by a live DJ set along with Nickelodeon and Blackpool Pleasure Beach characters. Hundreds of children and families from all over the North West and beyond, attended the event and many decorated their bikes with a lights theme with a myriad of colourful and exciting designs on display, including a stunning log flume-themed design and even a dodgem themed bike! Meanwhile bike doctors were on hand from CJ Cycles who assisted lots of cyclists on the night to help with their cycling needs adding an extra post at the Star Pub as well as on the Tower Festival Headland. Cllr Gillian Campbell, Deputy Leader of Blackpool Council, said: “Ride the Lights is a fantastic event that yet again proved incredibly popular. “It’s the perfect event to get people in the mood for the Illuminations Switch-On on Friday and you can sense the excitement building. “We’re also looking for the best photos from the evening so I would encourage everyone to share their pictures via our Twitter page using the hashtag #ridethelights”. Nickelodeon SLIMEFEST – 21, 22 & 23 October – The Nickelodeon SLIMEFEST ticketed shows will take place on Saturday, Sunday and Monday at the Arena, Blackpool Pleasure The six shows across 3 days will feature live performances, games, characters and plenty of slime, music and mayhem!